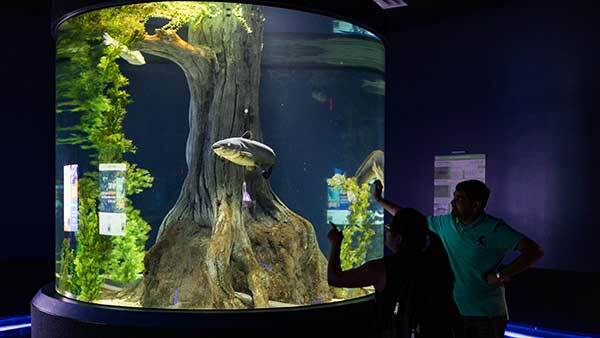 The American Eel exhibit offers 360 degrees of viewing windows. 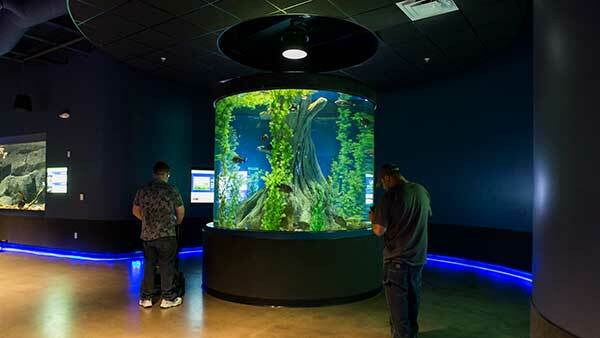 TV monitors containing species information can be found on the walls surrounding the American Eel exhibit. Also found in the American Eel exhibit are freshwater catfish. 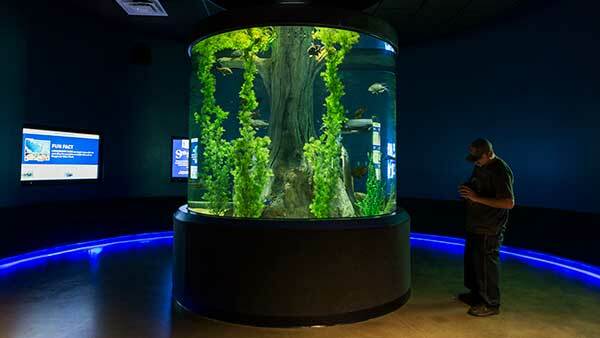 Our American eel exhibit at OdySea represents the freshwater habitat that an American eel might be found in here in North America. Residing with our eels are channel catfish and bluegill sunfish, both common species found throughout the waterways of North America. When young, bluegill sunfish are an important food item for American eels. Large catfish may also prey on America eels. Like channel catfish and bluegill sunfish, American eels are a hardy species which tolerate a wide variety of environmental parameters. As long as there is a steady source of aquatic vertebrate or invertebrate food and plenty of oxygen, the American eel will thrive and contribute to the ecosystem he is in.